Wonder of wonders; is what India is all about. We have come across many strange stories coming from the rural India. A cow giving birth to a strange calf that is half human and half cow or a dog with two heads or a cow with 4 stomachs and so on. Few of these bizarre tales are true and others arise just to grab public attention. But have you seen something like this that can blow away your senses and make you come up with strange possibilities? 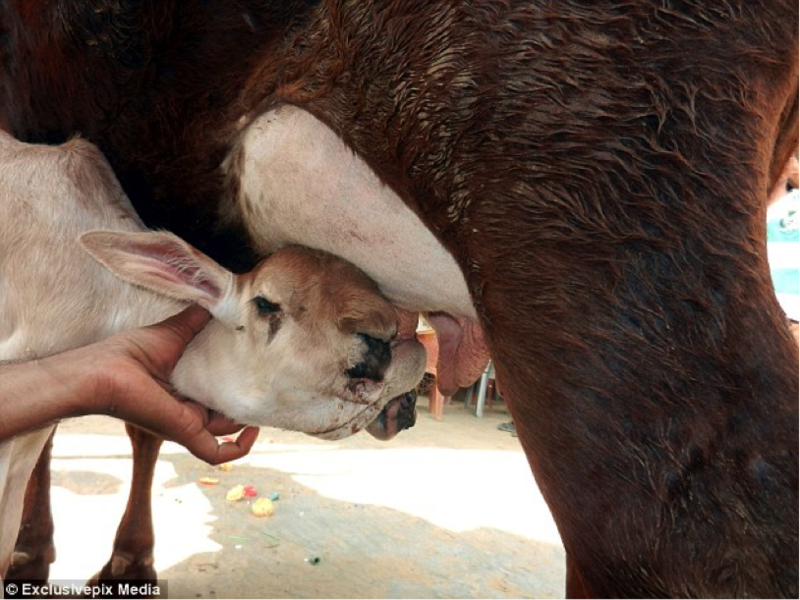 The mother of mothers, a holy cow from the Northern India has given birth to a 5 mouthed calf. It also seems to have 10 lips. Now that’s the strangest thing we have heard in recent times. The story goes like this; at a farm in Narnual district, Haryana, a cow delivered a calf with 5 mouths and 10 lips recently. 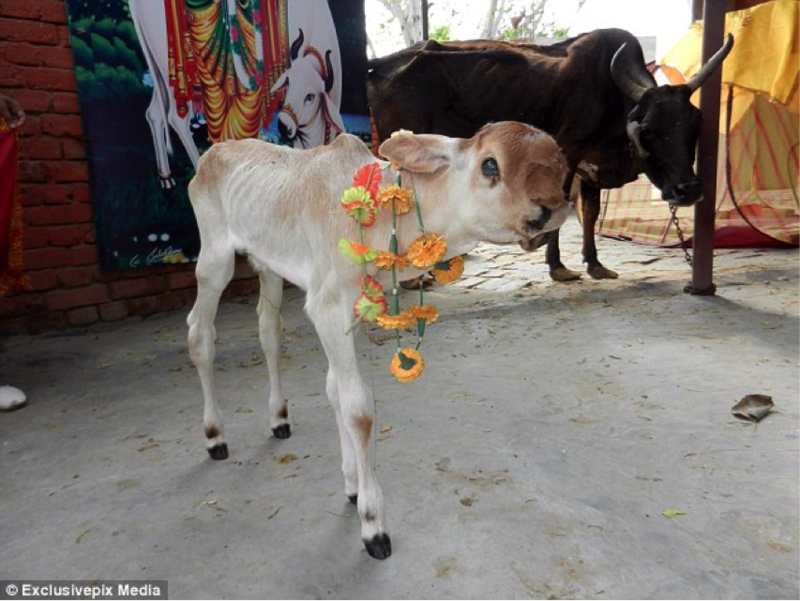 The news went viral and brought along many worshippers to witness the miracle calf; although the case might be of dysfunctional foetal growth. The newly born calf has already got a name, Nandi. As per to the Hindu Mythology, Nandi is Lord Krishna’s nickname which means ‘one who pleases others’. 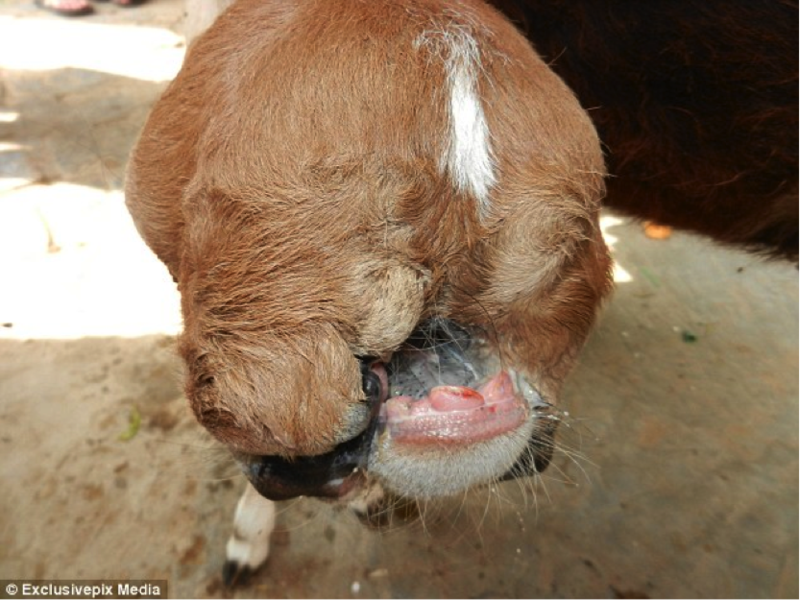 The calf however can drink milk from only two of his five mouths. Sukhbir, the local vet confirmed that the baby is thriving and strong. However, because of the distorted face, it may not have a clear vision.